Someone (shockingly, not I) Duck’d this post of Stef’s. She has edited the post and removed the ducks. However, if you scroll through Oppo or her Kinja profile and find it, the ducks are still there. Kinja has chosen. 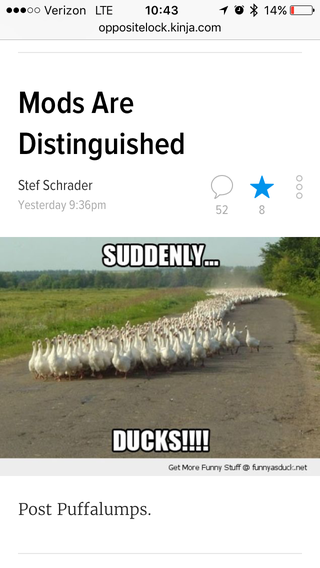 Duck yeah.